So I learned a new term on this program: salted shrimp. It an ingredient that is often used in Korean cooking and they are tiny little shrimp that’s salted and preserved. Apparently a lot of these diehard fans are worried about appearing like salted shrimp to their idols so they often don on masks or outfits that makes them standout. 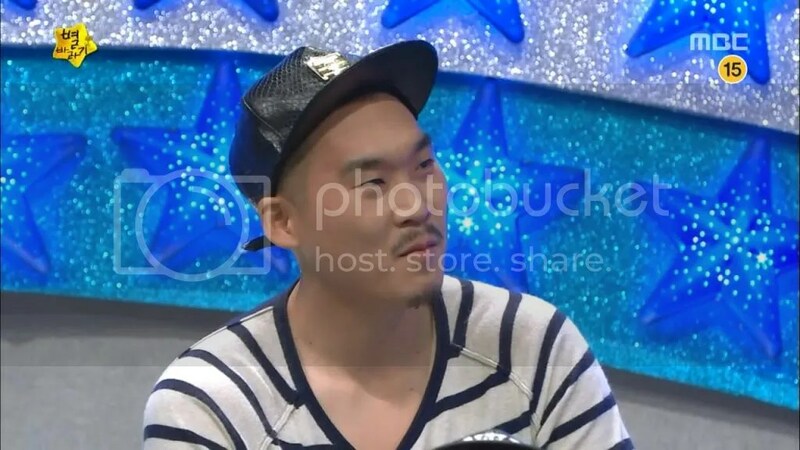 However, what’s really great about the show and what makes Kang Ho Dong perfect to MC is that he’s able to draw out interesting anecdotal stories from the guests and the stars. On one level the show is very similar to Strong Heart but that’s something I don’t mind if the people and their stories are entertaining, whether they are heartwarming or hilariously funny. I first checked the show out when they were trying out the pilot. Though the pilot had more celebrities and guests and panelists, I think the paring down the number of people makes the show easier to digest. 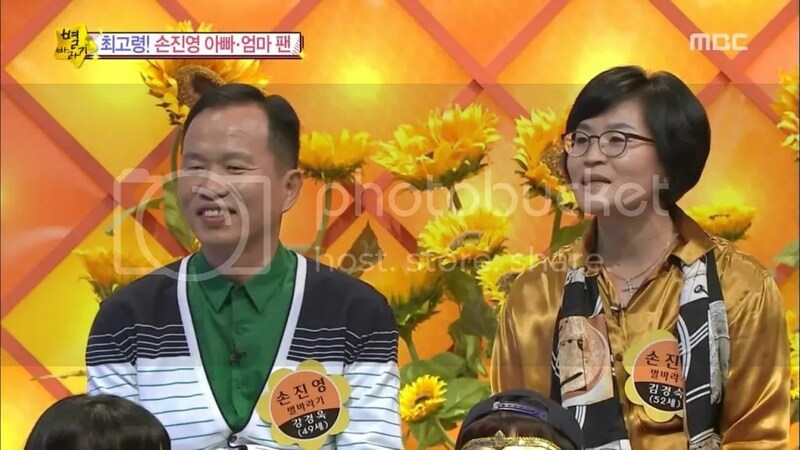 Joining Kang Ho Dong, the three main panelists are Song Eun Yi, Actor Im Ho, SHINee’s Key with Kim Young Chul provides additional commentary next to the guests. I’m not surprised that they were able to find such interesting guests but I am surprised that the show decided to feature mixed bag of celebrities. What would Yoon Min Soo’s biggest fan, Park Seo Rin, be like? Apparently, she’s tough, has the same sense of sarcastic humor as him and she looks like him. I love that she’s like, I absolutely love Yoon Min Soo’s singing but don’t think that he looks at all handsome. Lol. Baek Ji Young’s fans were happy any time she collaborated with other men, whether it was professionally or personally. They didn’t like Ok Taecyeon nor Jung Seok Won but warmed up to them after some time. They also discussed what it was like to be their fan during all the scandals that she faced and how hurt they were for Baek Ji Young. 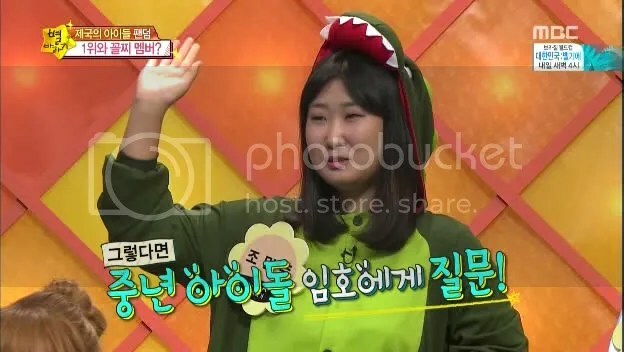 And who knew that Kim Jong Min had a diehard fan? And she contemplated entering the army because following Kim Jong Min and the other Coyote members were taking over her life. 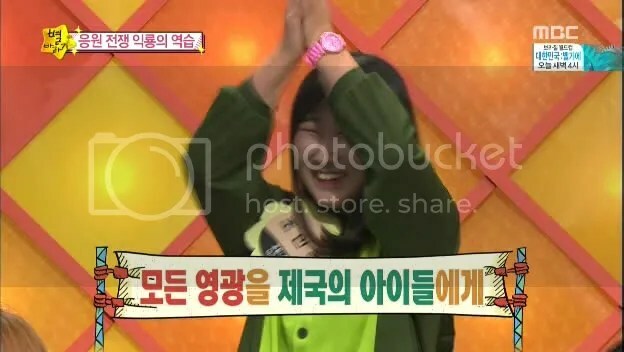 In the end, she didn’t go into the army but she’s been Kim Jong Min’s loyal fan for over 12 years. Only that, he confused her for being Shinji’s fan. Kang Ho Dong hilariously introduced them as an idol group known for being on dramas and variety program but not for singing. Ha. ZE:A’s biggest fans confessed that they have to constantly educate people on the group and their members. Though not all the members appeared on the show (there are apparently 9 members), the one fan joked that many people might not have ever seen or known that Min Ho (top rear left) was a part of the group. She then went on to say that she had been taking part-time jobs just so that she could support the group. She’d buy extra CDs and hand them out. She’d go to Myungdong and promote their comeback holding up placards and dressed in outfits. All the while, going to school and attending after-school classes. That’s a lot of love there. However, with all the hilarity, there’s also the heartwarming aspect of the show that I love. In the pilot episode, we were introduced to Song Jin Young’s fans. They’re middle-aged folks, the president of his fan club is a farmer in the countryside. They have followed Song Jin Young for some time because it raised their spirits to hear his music. They’ve gotten to know him over the years and they treat him like he’s their son. The story of these two fans was just so unexpected that it made me love their story even more. I think as a fangirl, I can relate to some of these stories. However, it’s the blend of heartwarming meeting the humorous aspects of loving a celebrity that’ll make this show a big hit.